Business owner William “Rick” Singer (left) walked into Federal Court. A whirlwind of excitement swept through TD Garden Wednesday night, where hundreds of high school students cheered for their teams in the state basketball tournament. Against this backdrop, the uproar over a nationwide college admissions scandal seemed like a world away. Many students interviewed by the Globe said they were either unaware of the issue or not thinking about it on such a big night. But a couple of students said they were dismayed about the scheme in which wealthy parents allegedly bribed a college consultant, coaches and others to get their children into top colleges. “I think it is very insane that someone could take advantage of a school system like that, while we’re out here, paying all of that money, going into debt, ” said Hunter Realini, a senior who has been accepted to the University of Massachusetts at Amherst. “I’m not surprised honestly that wealthy people are doing this because I feel they do a lot of shady things and there’s a lot of corruption and I’m glad that this is coming to justice,” said Bella Martin, a high school junior, who is thinking of applying to American University and George Washington University in Washington, D.C.
Other students who recently went through the college application process, the outright flaunting of wealth for a spot at an elite university was a slap in the face. 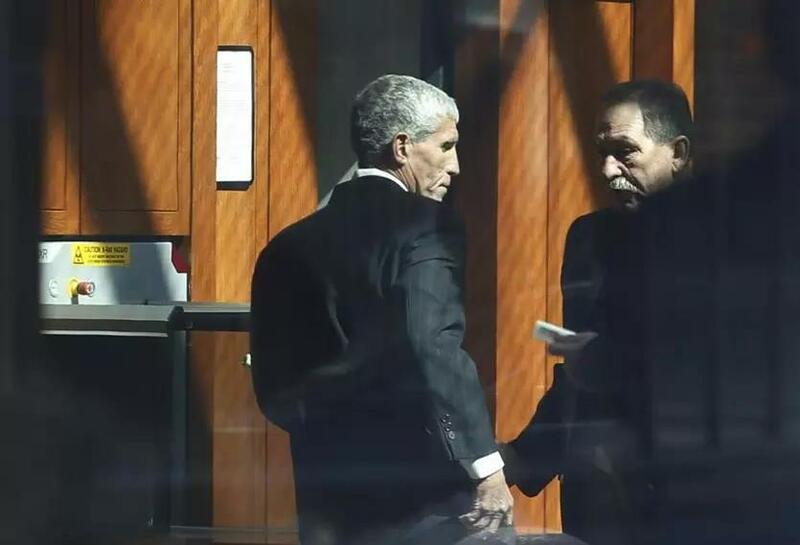 The scheme allegedly centered on California businessman William “Rick” Singer, who pleaded guilty to conspiracy and other charges Tuesday in federal court in Boston. Singer used two main ways to give his clients’ children a leg up: by fixing their SAT or ACT scores to submit to colleges, and by bribing sports coaches to recruit them. Singer was paid anywhere between $100,000 and $6.5 million, but the majority of parents paid him between $250,000 and $400,000 per student, officials said. For Allen-Gerald, she feels the sting doubly. Growing up, she says, her parents were not involved in her education. “I only had the people at my schools,” she said. After her GPA took a nosedive in her first two years at Boston Latin Academy, she transferred to New Mission, where she pushed herself to bring up her grades before applying to college. It paid off: She doubled her GPA, she said, from a 1.4 to 2.8, and focused on studying for the SAT, where she earned a score of 1220 out of 1600. “That’s not something I thought was capable of doing, and there were a lot of life situations that made it even harder to get that GPA,” she said. Of the 12 colleges she applied to, she has already received acceptance letters from four. She is currently eyeing UMass Boston, which gave her the most financial aid. High schoolers aren’t the only ones reeling from the injustice. Kiera Bohen, 19, a second-year Northeastern University student who was recruited for a spot on the school’s rowing team, said she was appalled by how actress Lori Laughlin’s daughters allegedly were accepted to the University of Southern California as rowing recruits, despite having no experience. 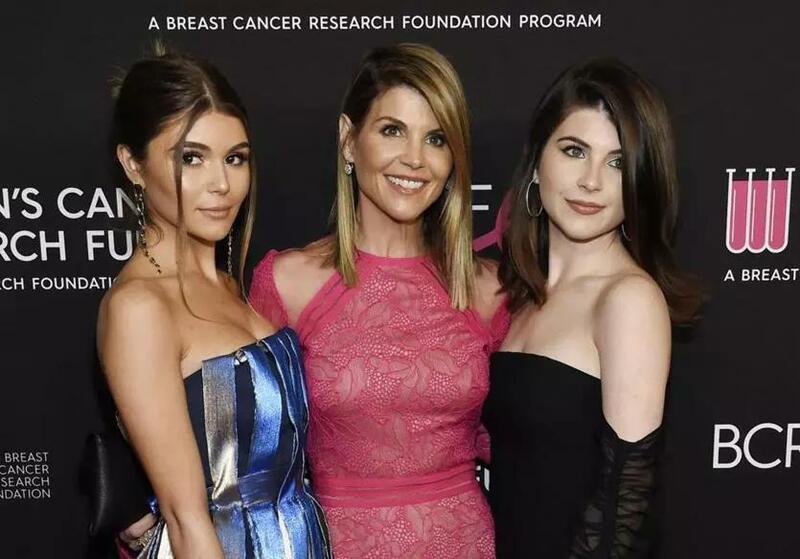 Actress Lori Loughlin, center, with daughters Olivia Jade Giannulli, left, and Isabella Rose Giannulli. Bohen, who grew up in Medfield before moving to Buffalo, N.Y., said that during high school, she would get up at 4:30 a.m. to practice before classes, and then practice some more in the evenings. “I don’t know if there’s a correlation, but it’s hard to think that my friend, who trained her whole life, could have been denied a spot at a school she really wanted to be at because of money,” Bohen said. Meanwhile, Solomon-Culp, the Northeastern student, said while he wasn’t necessarily surprised at the revelations — rich parents, after all, often donate money legally in hopes of receiving favorable treatment — he did feel disheartened by the scope of the scheme. “I think the scale of it, and some of the monetary amounts being given to coaches or proctors or whoever, it’s kind of astounding how high they are,” he said. Solomon-Culp, who grew up in a competitive school district just north of Berkeley, Calif., said he felt pressure to get into a good college, and worked hard in high school so that he could get into a competitive school like Northeastern. And despite Northeastern being implicated in the scheme — false test scores were submitted there, and one of the parents charged allegedly used his sway to try and get one of Singer’s clients admitted — Solomon-Culp says that the view of his school hasn’t been altered. “For the most part, with everyone I have interacted with in classes and on projects, it’s rare that I’m like, ‘Oh, how’d you get into this school?’” he said. Wire material from The New York Times was used in this report.